Focused, driven and even-keeled — these are the traits every golfer strives to have — which is why senior golfer Sam Matthew has been working to refine each of these skills. 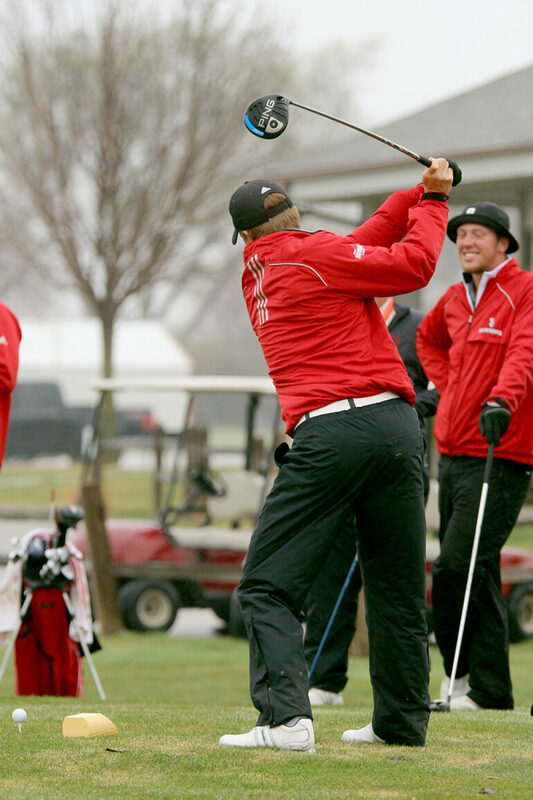 Matthew’s teammates and coaches said his humbleness is what makes him such a talented golfer. Junior Jordan Rykal, who’s played with Matthew the last three years, said Matthew is the same person when he is zoned in on golfing and when he has downtime. Sophomore golfer Grant Campbell echoed Rykal’s description, and said Matthew’s calm demeanor rubs off on the rest of the team. The team’s success was evident at the Atchafalaya Open in Louisiana held earlier this spring, where Matthew and the Coyotes collected a team victory. In the tournament, Matthew added icing to the cake when he also won his first individual title as a collegiate golfer. Golf coach Nick Hovden said that individual medalist honor for Matthew is something that has been coming for a long time. Hovden said Matthew’s work ethic contributed to him earning the award. Matthew said he has grown up around golf his entire life, and that the sport takes up almost all of his free time outside of school. Even after he graduates this May with a degree in finance, Matthew said he doesn’t plan on easing back on the amount of time he dedicates to golf.